A stability running shoe which is well put together. No major changes from the previous version; if you've loved the Kayano 15 and 16, you'll feel right at home with the 17. 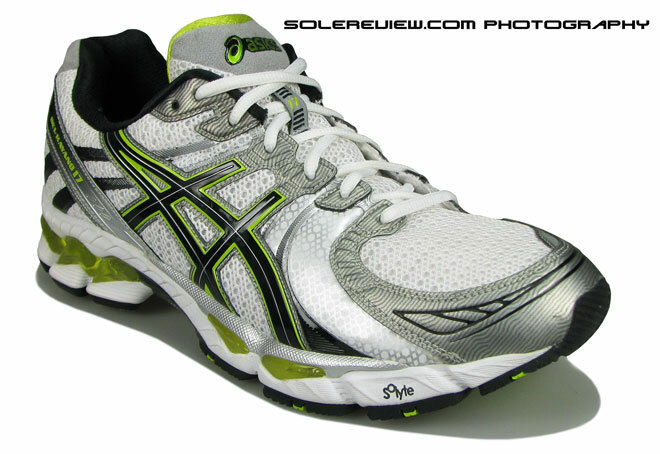 The Asics Kayano 17 was released more than eighteen months ago, and now has been replaced by the Kayano 18 in 2012. 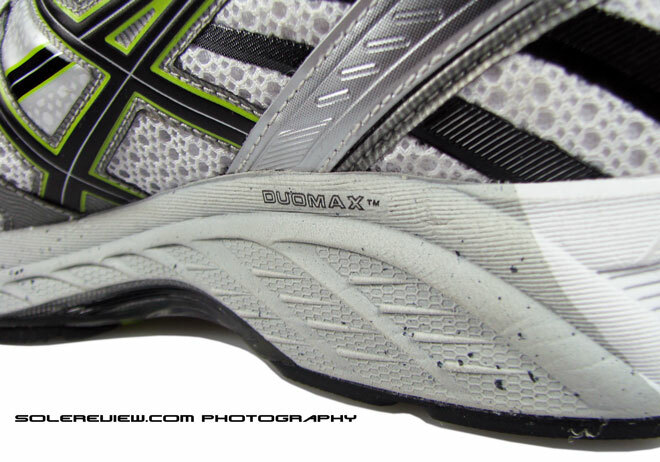 So why are we writing a review of the Kayano 17? When we decided to start reviewing Asics on solereview.com, choosing the first shoe was a tough call to make. Was it to be the Asics Gel Nimbus? The Kayano? The GT2170? 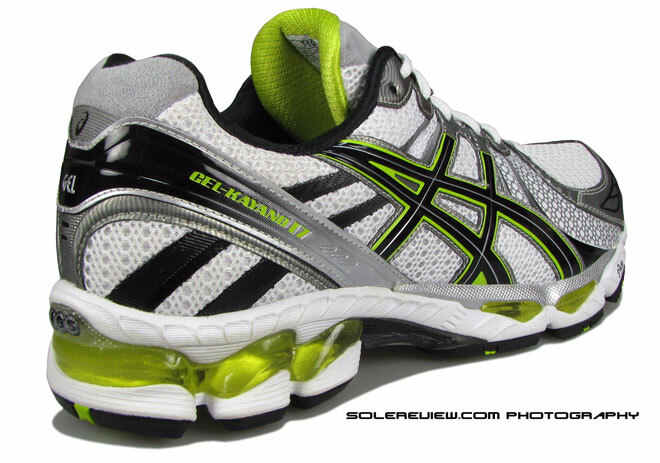 Or kick off with the Asics Gel Blur or Excel 33, part of a brand new breakout category? While the 33 series tempted us, we ultimately went for the Kayano – one of Asics’s most popular running shoes till date, in its 18th year running. It so happened that we saw the Kayano 17 and 18 together, and we felt it was good idea to have the Kayano 17 review as a reference point for the Kayano 18 write-up. It’s amazing how long the Kayano series has been in circulation. 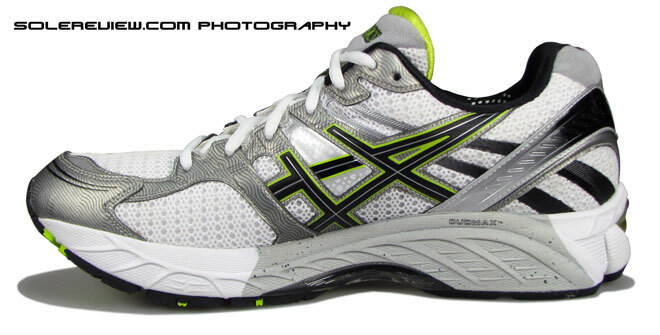 Named after its designer, Toshikazu Kayano, the revered Asics designer, the original Kayano made its debut in 1993. It featured cutting edge materials for its time, combining a sock like upper contruction with a Coolmax lining, molded side logo stripes, and the sole cushioning helped by Gel units in the forefoot and heel. Every year since (except for the first two Kayano’s, which were biennial updates), the successive Kayano’s have had layers of step-by-step improvements, the latest update being the Kayano 18. Over the last two decades, the Kayano has been seen as the gold standard when it comes to a stability running shoe – and one of the most successful shoes to come out of Japan ever. 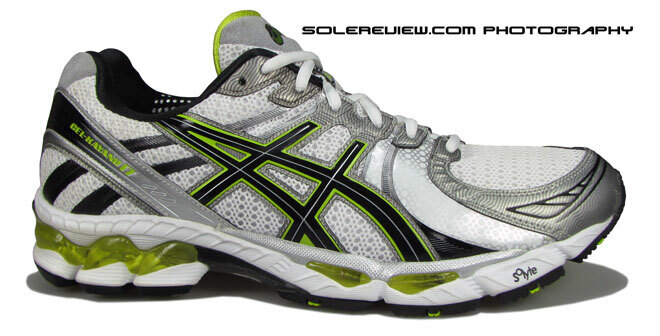 Asics rolled out the 17th iteration of the Kayano in late 2010, and the shoe completed its lifecycle in December 2011. For those who are new to the Kayano, we’d like to emphatically call out that it is classified as a ‘stability’ shoe. During running, the foot rolls inwards as part of the gait transition, but some runners tend to pronate more than the others – their foot rolls inwards to a greater extent, and stability shoes are designed to reduce that excessive roll. They are also called ‘pronation control’ running shoes, or simply put, ‘stability shoes’. Most of the pronation control is achieved by the sole unit, where a harder piece of foam sits on the inner side of the shoe, while the outer side has a softer foam, or an unit of cushioning technology. 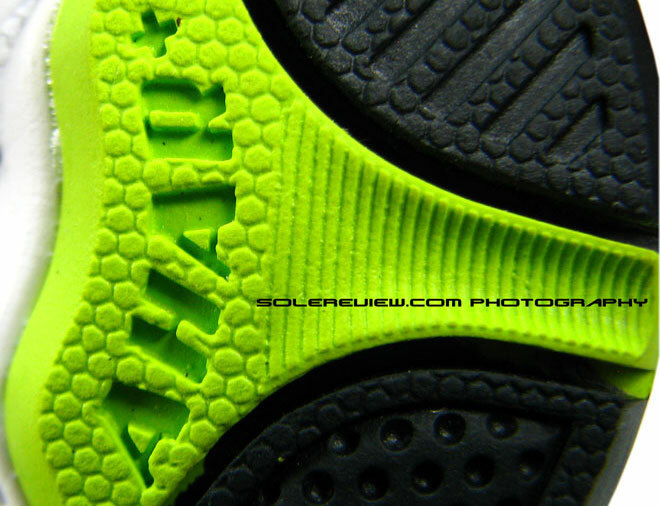 The combination of dual density midsole materials works together to keep the foot rolling in. While the Kayano can be also be worn by people with a neutral footstrike, it is a good candidate for runners with medium to severe foot roll. The Kayano 17 is a sum of progressive, yet small changes over the last versions, so there is a sense of ‘sameness’ when compared to the earlier Kayanos. The asymmetric off-center lacing and ‘guidance line’ in the outsole were introduced in the versions 15 and 16, so naturally those get carried over the to the Kayano 17. The stretch panels which Asics calls ‘Biomorphic’ is used in the forefoot and midsection, combined with open spacer mesh and synthetic overlays. 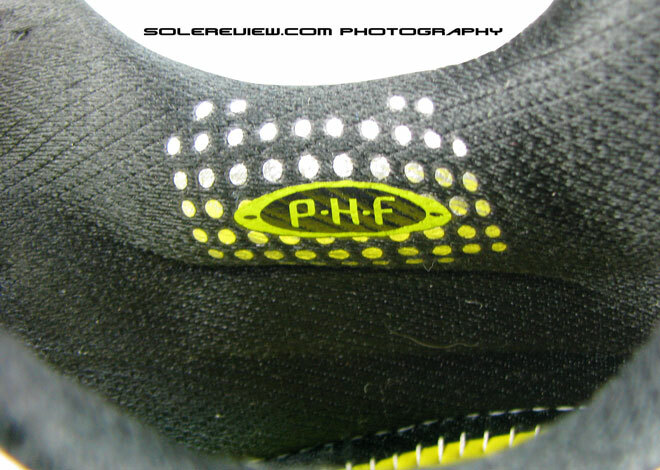 In the rearfoot, the Asics ‘PHF’ (short for personalized heel fit) collar with the memory foam does duty, with a prominent ‘PHF’ logo callout printed on the fabric. 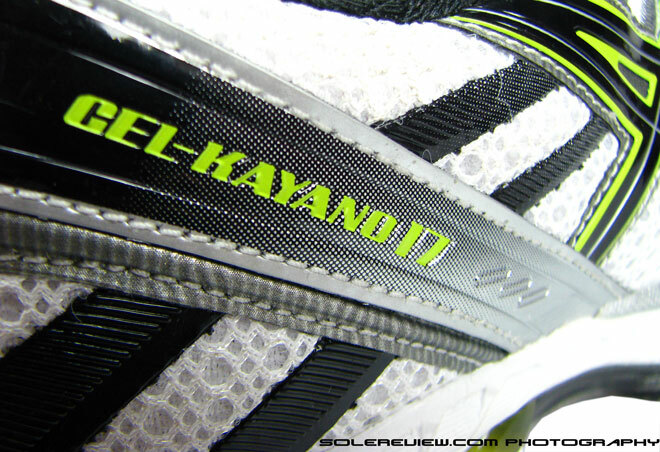 True to Kayano tradition, the attention to detail is amazing. The shoe comes across as a visual feast, with micro molded and printed synthetic overlays running all over the upper, and lime green highlights adding energy to aesthetics. Materials of different textures layer over one another, emphasizing contrasts, yet resulting in an overall design harmony. Even the subtle white printing on the ‘Biomorphic’ stretch panels is designed to match the mesh texture, so when seen from a distance, it appears to be a part of the mesh. 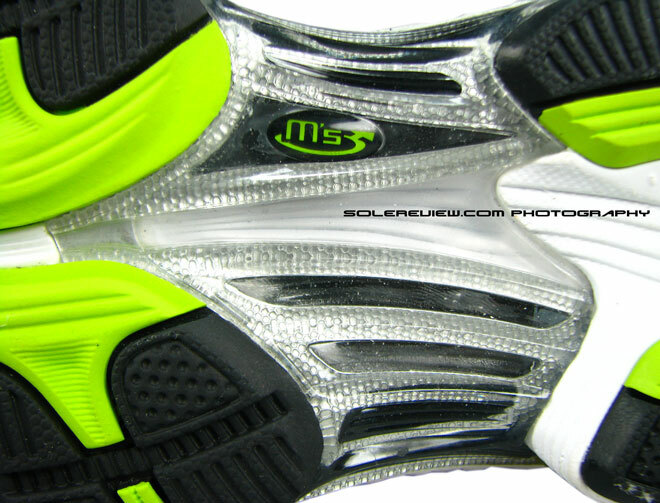 The color we reviewed had synthetic overlays in a metallic zinc color and a gloss finish around the heel area, with clever use of black substrate underneath (most shoes do that in white if the top layer is metallic) which blends in well with the overall color and design package. The synthetic leather has these subtle charcoal colored lines running through, and the amount of molding on the material is incredible. In the front, the toe bumper has molding combined with printing, and as you move backwards to the midfoot, the detailing continues on the eyelets – the first two and the last are individual components overlaid on the upper. 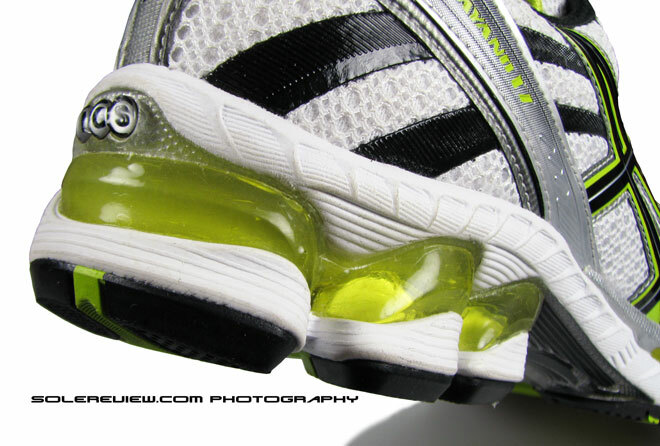 Welded TPU (Urethane) layers are welded on to the upper on both sides of the shoe, working as additional support structures. The large midfoot Asics logos are also TPU welds, and instead of being directly welded on the mesh, they go over the synthetic leather logo cutout, keeping the sides in shape and preventing them from flaring out. Back in the heel area, a glossy piece of synthetic leather goes around the heel, making good on aesthetics as well as functional heel support; the print on the top is a two tone sublimated silver-into-black color scheme. 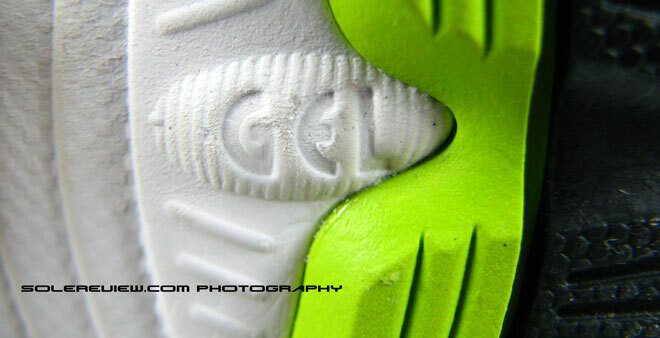 ‘Gel’, Asics’ proprietary cushioning technlogies is called out in silver. It is topped off with a reflective detail with the black Asics logo, which in turn is fused on the soft, felt kind of fabric which is part of the Achilles Heel notch. The soft fabric is there for a functional purpose; it makes the part of the collar in touch with the Achilles tendon soft and pliable to the touch, eliminating any painful dig-ins. 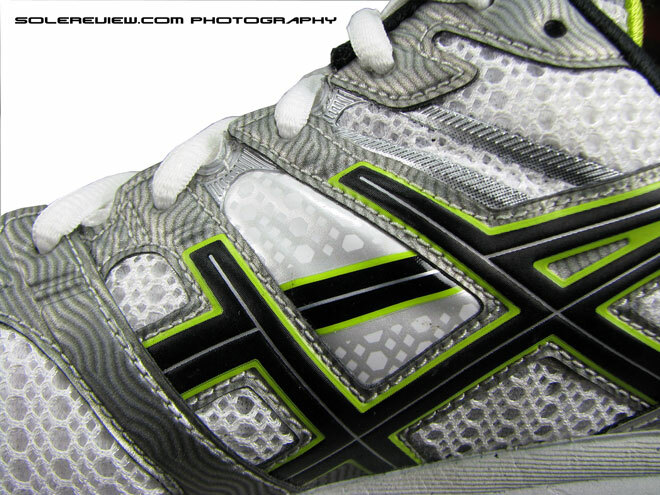 The Asics Kayano features an asymmetric lacing system, which being off center, alleviates lacing pressure on the foot. 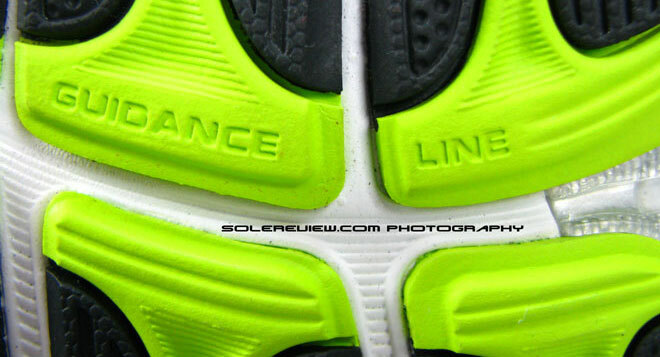 While asymmetric lacing used to be a uncommon feature a few years ago, it is now showing up on a lot of running shoes. Does it help? Yes, it does – the outer part of the upper covers your foot just short of the center (earlier it was only till the sides) which helps in achieving a snugger fit without the pressure of the laces along the top of your foot. The Kayano also features a seamless tongue, which you can stretch to avoid any material accumulation in the front. 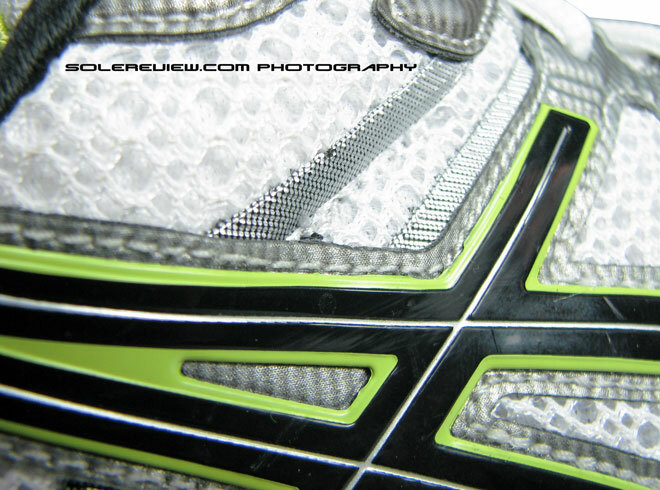 It also eliminates the toe box puffing – a condition in which the front mesh raises over a period of time. The tongue lining is a plusher fabric padded with foam, and is highlighted in Lime green color for visual differentiation. 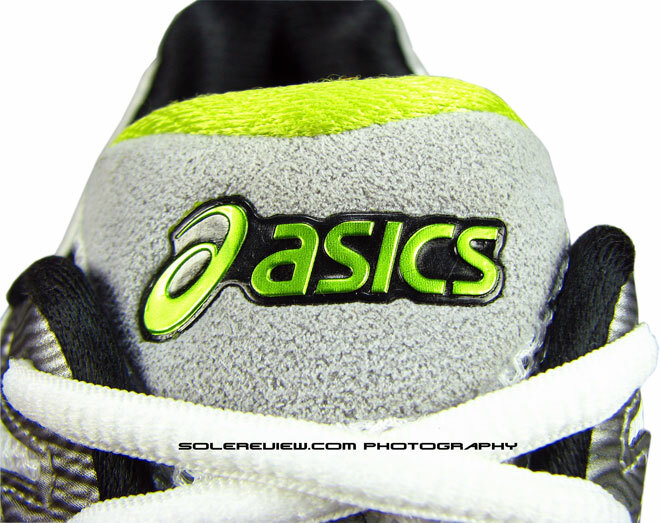 The tongue top has a welded Asics logo on, you guessed it, the same fabric used on the Achilles heel notch, which helps banish and discomfort when the tip of the tongue is directly in contact with your foot. During our weartest sessions, one thing was abundantly clear – the upper fit is near perfect. For the ideal foot type, it is hard to fault the Kayano 17 when it comes to fit and feel. The collar fit is snug yet plush with no slippage, and as you move towards the front, there is enough room there without being too baggy. Initially, we felt the ‘Biomorphic’ stretch panels flexinwards during running, but that went away after a few runs. The interior environment of the Kayano uses, plush, soft to the touch materials, worthy of the $140 price tag it sells for. Move down from the upper, and you’ll start seeing the stability technology comes into play. The midsole has multiple components, with the Grey colored ‘Duomax’ dual density midsole playing an pivotal role in making the Kayano what it is. The grey Duomax area is of harder density than the rest of the white midsole, so when the foot tries to move excessively inwards after each footstrike, the harder density foam works to reduce that roll. But far from working independently, its efficacy is underscored by the softer heel cushioning unit on the outside – in Kayano’s case, the Gel units. So the harder foam tries to keep the shoe from rolling inwards, while the softer Gel pad tries to keep the foot on the outside to minimize roll. This left-right dual density stability mechanism is standard athletic footwear industry practice, though there are exceptions like the Nike Lunarglide, which looks at an alternative way of doing this. The Kayano 17 also utilizes a rigid stability shank in the midfoot (the transparent section in the pictures above), which is meant to prevent arch twisting, and also help support gait management. 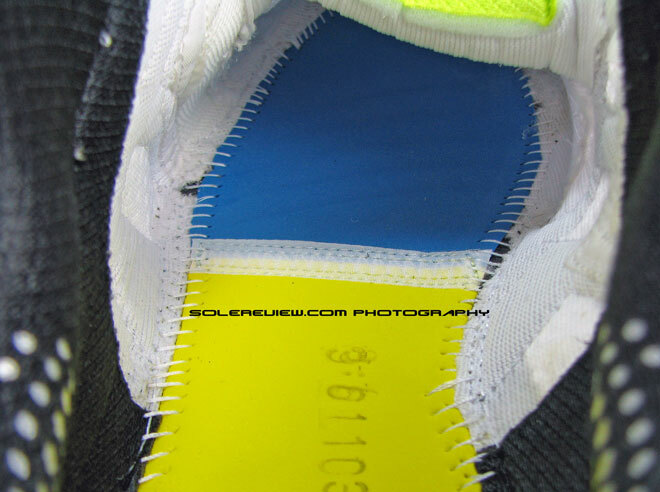 While the plastic shank sits directly underneath the midsole foam, there is some space between the midsole foam and the shank surface, allowing for some degree of midsole deformation during a gait cycle. The outsole has an eight piece rubber construction – the rubber is hard carbon rubber, which Asics call the ‘AHAR’ (Short for Asics high abrasion rubber). One of the positives we noticed that instead of having a two piece outsole with flex grooves in them, there are areas of exposed midsole, which increases its flexbility. A groove which Asics calls the guidance line extends from the heel to the forefoot; Asics claims the benefit to be gait efficiency, though it was hard for us to assess that. As observed during our test runs, these components come together to provide a good level of stability, though bordering on rigid. Forefoot flexibility is satisfactory, though not great. 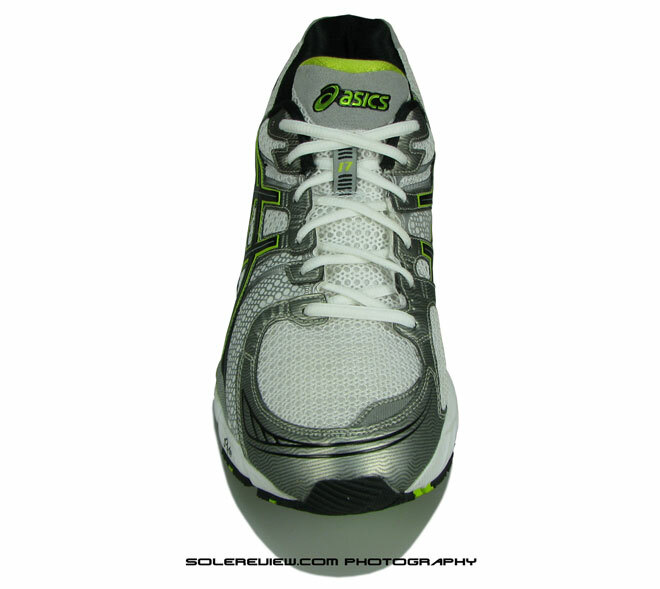 Asics Gel units are made out of resilient, yet soft Urethane. Though it looks as if actual liquid Gel is encapsulated inside a transparent covering, the truth is that each Gel unit is manufactured using one material throughout. The Kayano 17 uses a combination of two Gel units – a large one in the heel area (only on the outer side), and forefoot Gel cushioning units which is visible from the outside. 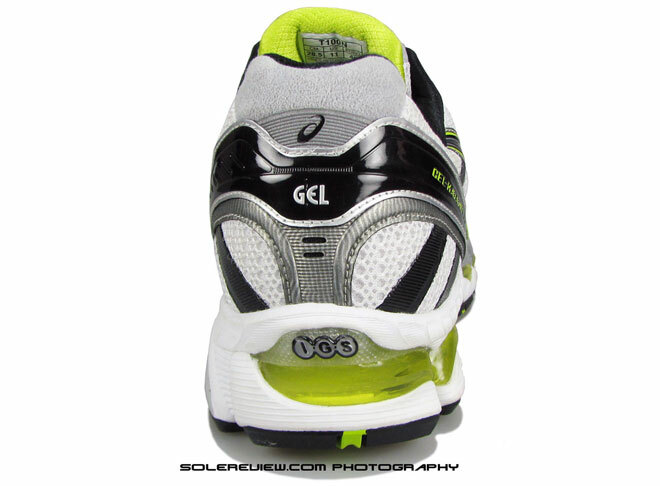 The rear Gel unit’s placement is restricted to less than half the area of the outer heel, and that helps the foot stay on the outer side of the shoe to avoid it from rolling in too much. 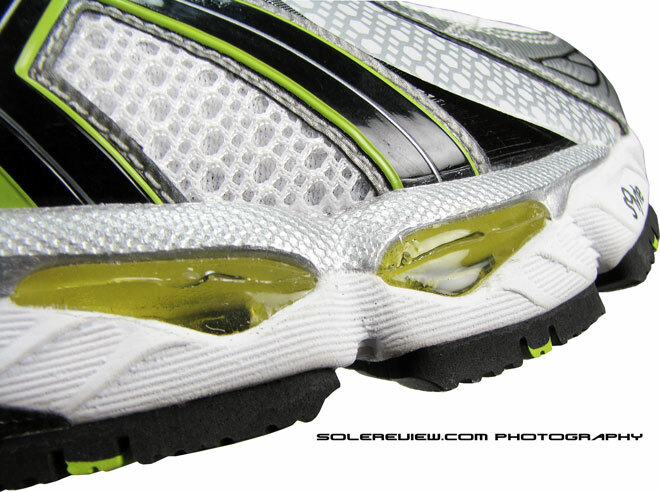 While the Gel units looks huge, you don’t feel it much during a run; you just sense that the outer side of the shoe is softer as compared to the inner side (which is harder due to the higher density midsole). However, the presence of the front heel is something you feel during a run, and the reason is that the front Gel pads go right under your forefoot. We will cut a cross section sometime in June to show you how it’s laid out inside. The Kayano has an extremely well executed interior environment, and in addition to the upper fit, the ‘Solyte’ EVA lining between the sockliner (removable insole) and the midsole makes for a well cushioned ride. In a rare departure from many running shoes, the Asics Kayano 17 uses a combination of two different sheets of foam, joined together by a seam. While we can’t say for sure till we cut a cross section(which we will do soon), we believe that the blue foam in the forefoot is thinner than the one at the back. 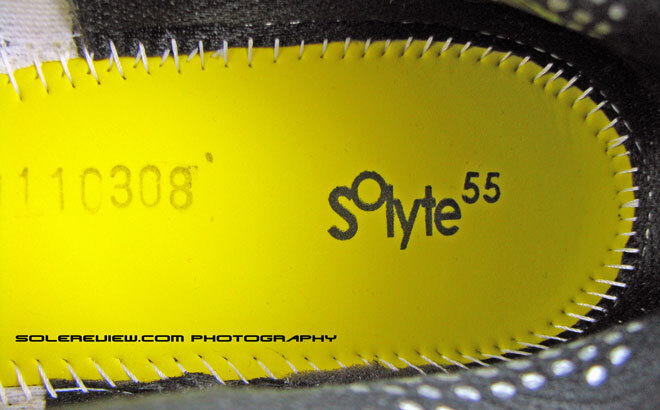 While the yellow colored Solyte in the rearfoot provides some amount of resilient cushioning, the forefoot foam appears to be thinner for a couple of reasons – one, to aid flexibility and two, allow the Gel pads underneath to be more effective. 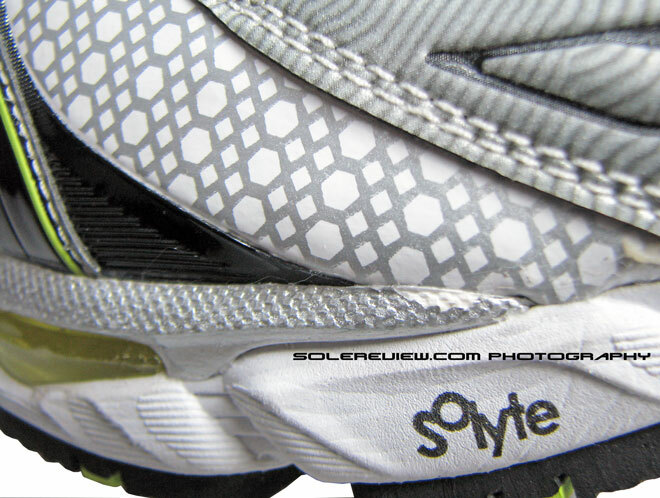 A open cell, removable sockliner goes over this layer of Solyte foam. Asics calls it ‘ComforDry, with anti-odor properties. While the shoe was too new to test any of the anti-odor claims, we can assure you that the sockliner is comfortable, molds well to your foot and has no hard edges. Overall, it contributes to what is a near perfect in-shoe fit and feel. We’d sum up by saying that the Asics Gel Kayano 17 is a great stability shoe, with the upper fit and feel coming out tops. The full retail MSRP of $140 is pricey, but an abundance of premium materials and complex construction technologies justifies that. 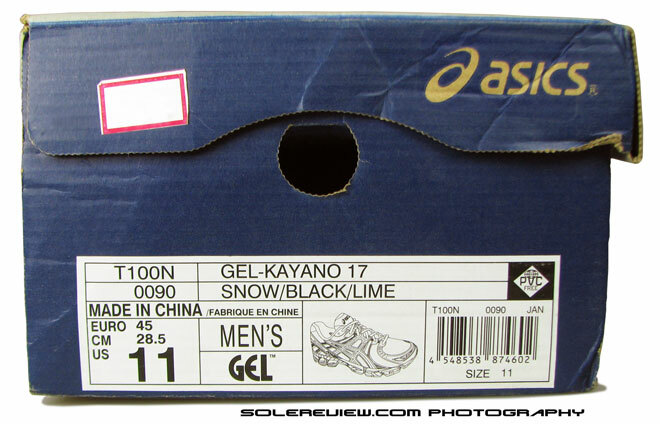 If you’ve always worn Kayano’s, then stepping into a pair of 17’s will bring out that all familiar feeling. Since the Kayano 18 is out now, the 17 can still be had for a good bargain – and is completely worth buying!